Source your own candidates using our Chrome extension or upload a list of contacts to add to an email sequence. 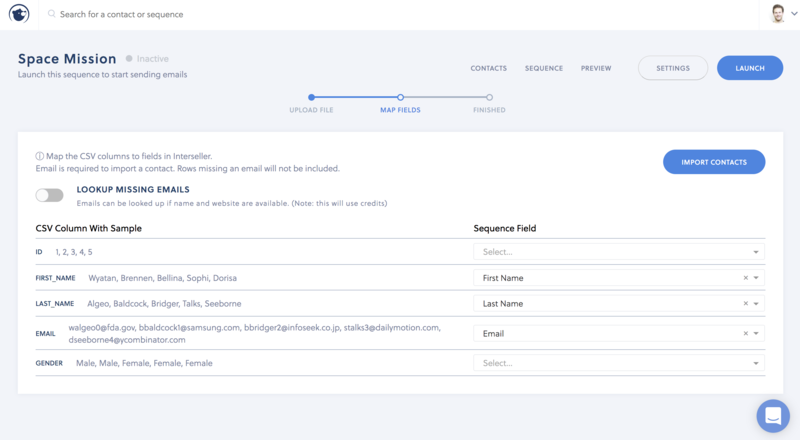 Use the Interseller Chrome extension to add contacts directly into sequences. 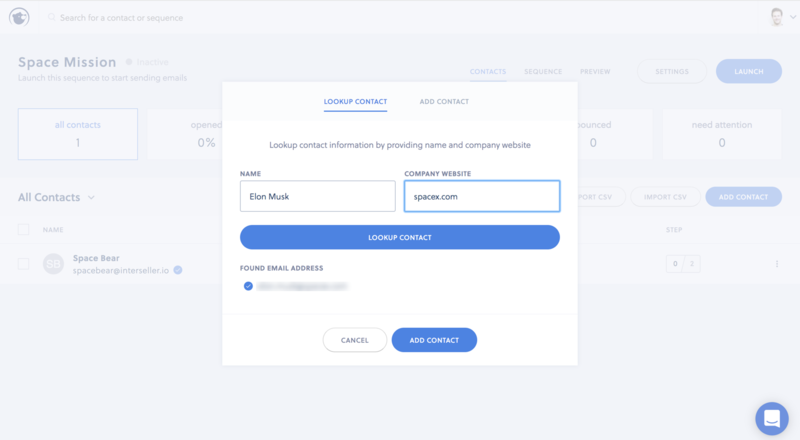 With the click of a button you can find a contact's work email, add them to your email sequence, and sync them to your connected service with all their company info. Lookup the email addresses of individuals using just their name and website or verify an email address is correct. 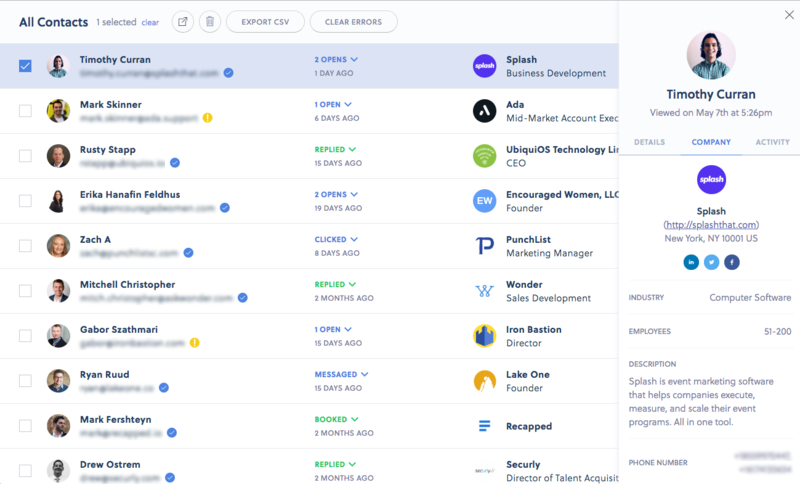 Interseller uses several algorithms and APIs to provide the most advanced email lookup on the market. Import a custom contact list and map custom fields using the CSV import. You can also export all contacts that you've collected from Interseller. 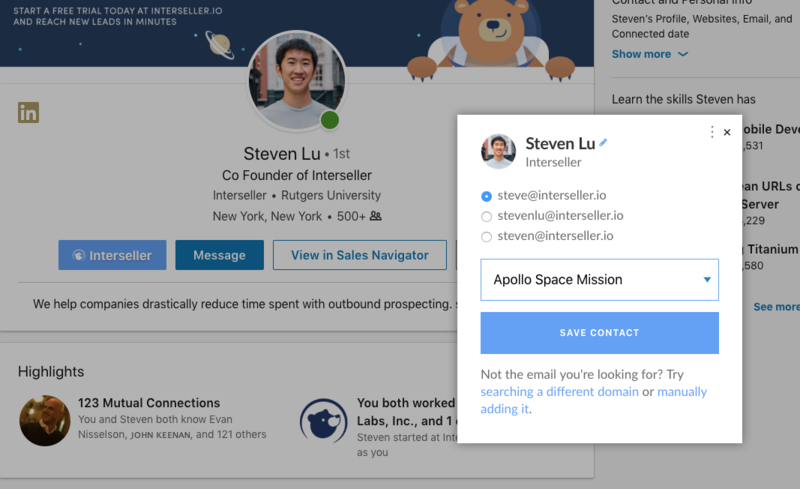 Interseller features enriched contact and company data to give users all the information they need to personalize outreach.